The How-To Gal: Mamatamera Where Are You? Hi there! 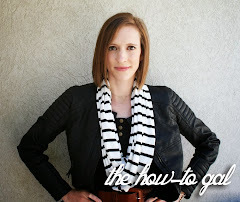 Mamatamera, you are the winner of The How-To Gal's blogiversary giveaway from last week. Only problem is that I have NO contact information for you! Please email me or comment on this post with your email so I can send you your prize! If I don't hear from you by Friday...I will have to give the prize to someone else! So I hope you are reading this!! !